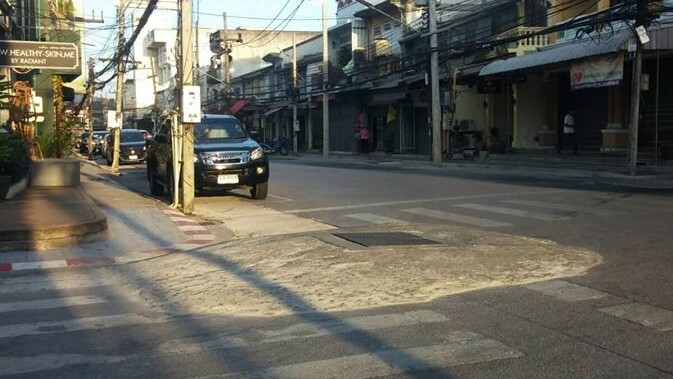 PHUKET: The work to install power and communications cables underground and make new footpaths along Phang Nga Rd and Rassada Rd in Phuket Town will be complete by the end of October, Phuket City Municipality has announced. SCG 1995 Co Ltd was hired to carry out the work under a budget of B166 million, Mayor Somjai revealed. Under the contract, the work began on July 25, 2017 and was to be finished by July 20 last year, she added. 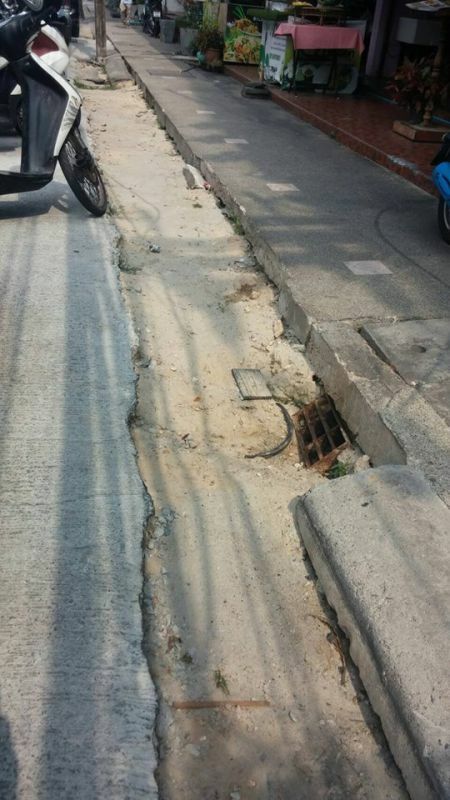 The Phuket office of the Public Works and Town Planning and Country Planning Department (DPT-Phuket) was – and remains – responsible for carrying out the project, Mayor Somjai confirmed. Other government departments and agencies involved I the project include the Provincial Electrical Authority (PEA) Phuket office, TOT Public Co Ltd, CAT Telecom Public Co Ltd and private commercial telecommunication service providers, she added. 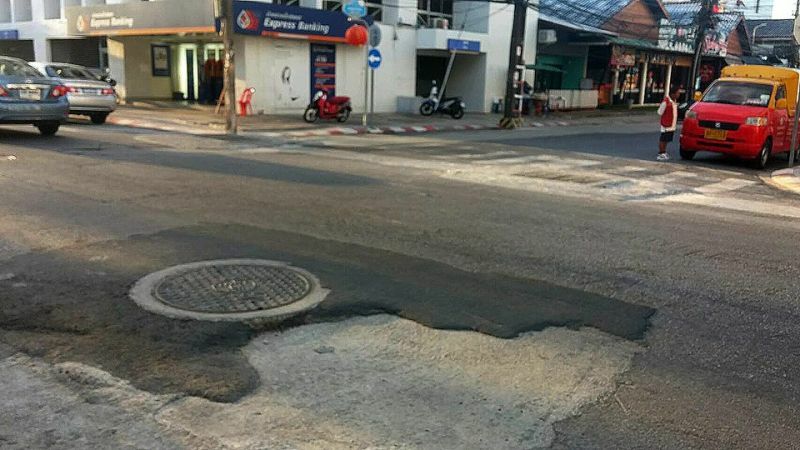 “The DPT-Phuket has reported to Phuket City Municipality that this project is now 70.5% complete,” Mayor Somjai said. “However, the project has been delayed and the construction plans for installing the communications cables must now be revised,” she added. “The DPT-Phuket will start work on completing this project in May 2019 and the work will be finished in October 2019,” Mayor Somjai assured. 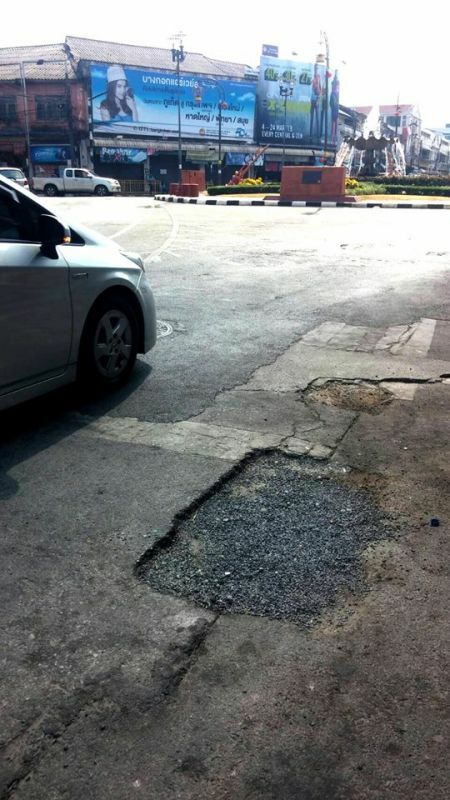 “During construction there may an impact on local residents, people who use those roads and tourists. We apologise for the inconvenience,” she said. DPT-Phuket Chief Tawee Homhuan told The Phuket News on Friday (Apr 12), “I know that I told The Phuket News on Apr 4 that the work would take about four months and was to be finished by the end of August, but after meeting about this project we now think that the work must take about six months, and hence will be finish within October. “We need time for fix all defects that can happen after construction,” Mr Tawee said.